Attention farmers and anyone else that uses long irrigation systems for crop growth. You risk damaging your equipment if you don’t maintain it on a regular basis. 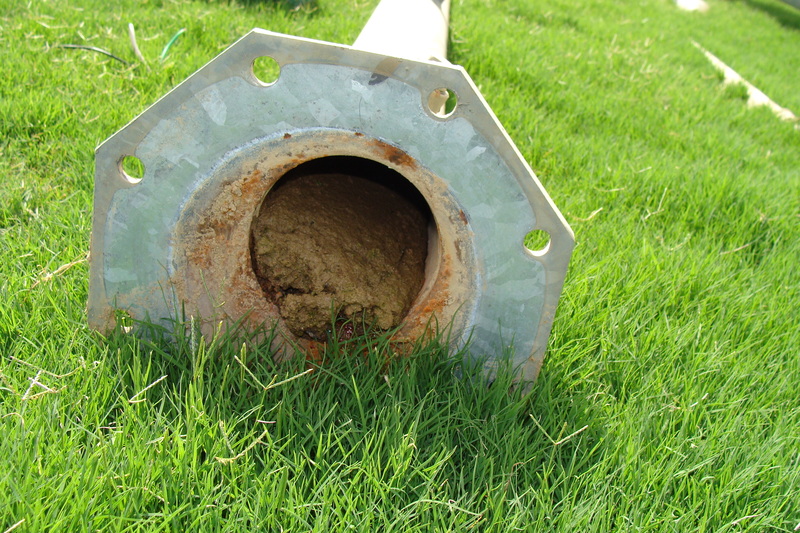 Recently, we investigated the collapse of a system due to the accumulation of mud inside the main water distribution pipe. A portion of the system is shown in the photograph below. Instead of causing the truss supports to fail, the system came apart at the rubber boots between sections. When one section came apart, it dragged another section down. 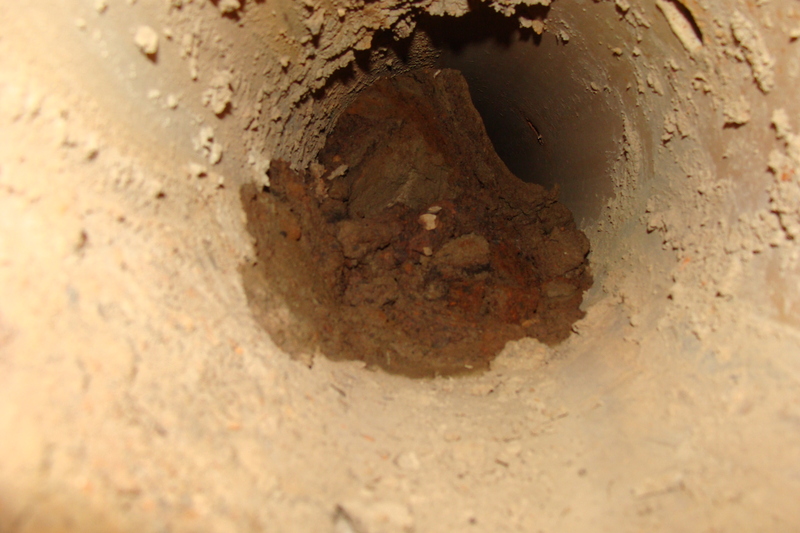 Two pipes were found especially blocked with mud and sediment debris. The photos below show the blockages. If your water source is a lake, river, or well, you are best advised to use some type of water filtration if you don’t want to risk this type of damage. The owner of this system was lucky in that his insurance carrier paid for the repairs.